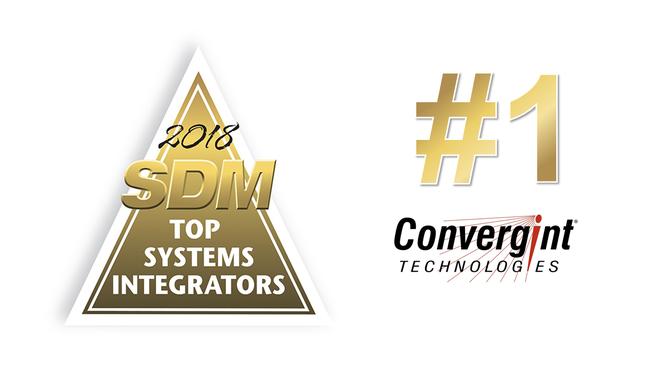 Convergint Technologies has been ranked #1 on the SDM Top 100 Integrators Report for 2018. 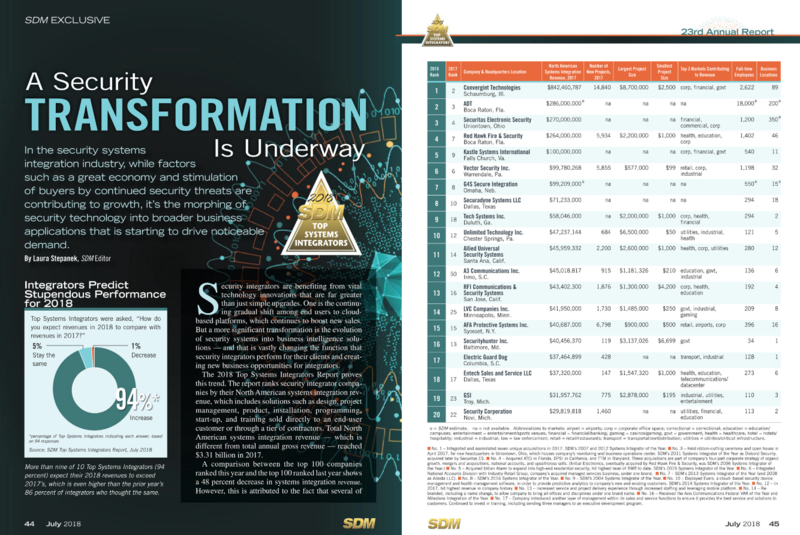 Every year, SDM, a leading North America based security channel media, ranks the 100 largest security companies in North America based on their recurring monthly revenue (RMR). Having ranked in the top 5 for the past several years, Convergint is proud to have made it to the top spot this year! This is an exciting moment for ICD also as we celebrate being part of the global integrator Convergint Technologies for five years in 2018. Both Convergint Technologies and ICD have seen accelerated growth in recent years, with increased geographic reach, service provision and overall capacity. At ICD, we are therefore well equipped to meet both the regional and global needs of our clients and continue to stay true to our mission of being our customer’s best service provider. To find out more about ICD and Convergint Technologies, click here.